Specialized financing is offered across Canada by relationship managers whose in depth industry knowledge serves to get the deal done right. 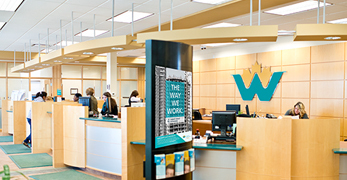 Canadian Western Bank offers a full complement of personal banking services including chequing and savings accounts, mortgages, loans and investment products. CWB Financial Group provides specialized service in business and personal banking, trust and wealth management across Canada. Through our network of branches, business offices and our mobile relationship teams, we're helping clients manage their money, grow their businesses and realize their financial potential.